“Let Her Down Easy” was George Michael’s first single from the album Symphonica. Originally a moving 1993 tune by Terence Trent D’Arby, the subdued, piano-driven cover song perfectly showcase George’s mellifluous voice, cementing his reputation as his generation’s best male vocalist. 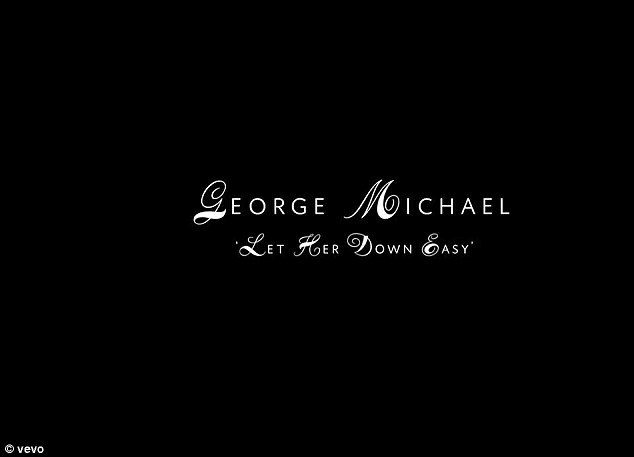 “Let Her Down Easy” premiered on Magic Radio UK radio on 3 February, 2014, ahead of the song’s digital release on 17 March 2014. George Michael’s version was produced by the singer with the late legendary producer Phil Ramone. The album Symphonica, released on March 14, 2014, was George’s only live album, with vocals recorded during his critically-acclaimed 2011-2012 orchestral Symphonica tour. As such, vocals for “Let Her Down Easy” was recorded live during the tour. Regardless of what we feel about George Michael’s take on many of these songs, the one thing we absolutely have to give him credit for is his remarkable ability to bring great songs out of obscurity and breathing new life into them by adding his vocal stamp to them. He doesn’t typically cover songs that have been done and redone by several artists. This is something he did particularly well on his Symphonica tour – a tour that took him all over Europe playing alongside live orchestras in every city. Some of the relatively obscure songs (at least with regard to the limited American mainstream) that he brought to life on this tour include “F.E.A.R” (originally performed by Stone Roses frontman Ian Brown), “Idol” (originally performed by Elton John), and of course his new single “Let Her Down Easy” (originally performed by his former label-mate Terence Trent D’Arby). The immediacy of George’s vocal reminds me of his fantastic cover of Stevie Wonder’s “They Won’t Go When I Go” from his second solo album, but this track is somehow tenderer. It’s a return to form for a man with unbeatable form. So, so refreshing. Anyone else feel like their monkey’s been set free? Vaughan Arnell, one of Britain’s foremost and most innovative music video directors, directed the black-and-white video for “Let Her Down Easy.” The two have previously worked together on George’s video for ‘Outside’. Arnell has also previously worked with other musical artists such as Robbie Williams, The Spice Girls and One Direction. The music video for the song was released on February 4, 2014. Brilliantly shot by DP Callan Green in Barcelona at a family-run circus, all the cast are actual performers in the circus, with the exception of the leads – including model Hannah Janes from London, who according to press reports was chosen from 3,000 hopefuls. The video is tinged with sadness as the tale of sexual desire unfolds. Michael posted a video teaser of the tune to his YouTube account. 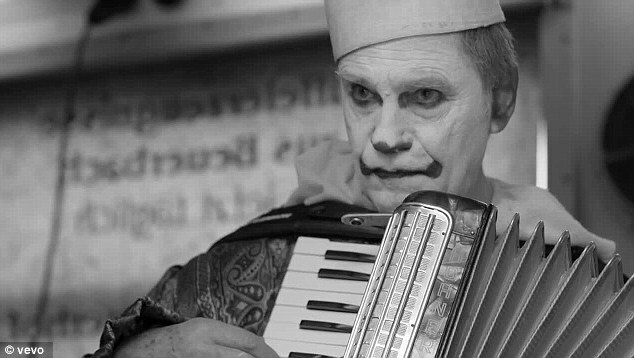 The teaser video sees a number of circus acts preparing for a stage show and is presented entirely in black and white. So, this video: The balletic pacing and old-timey coloring gave me immediate pangs of “Constant Craving,” and the studly circus performer reminded me of that torrid toreador from Madonna’s “Take a Bow” video. That’s all fine by me. The word to describe this video is immaculate — not a shot or note or out of place. The ballad “Let Her Down Easy” was originally recorded by Terence Trent D’Arby in 1993 for his Symphony or Damn album. The song peaked at #18 in the UK charts when it was released as a single.